I will have a review and further thoughts up shortly! Any of these catch your eye? Have you seen them in stores? They look like the Urban Decay shadow sticks! Can't wait to see the review! I really love milani's pencils & glosses. I haven't tried much else from them since their displays are always 3/4 empty ! :D While I realize that's a GOOD sign.. it's still frustrating. Very interested to see how you like these! I'm really interested in these. In fact, i want all of them. 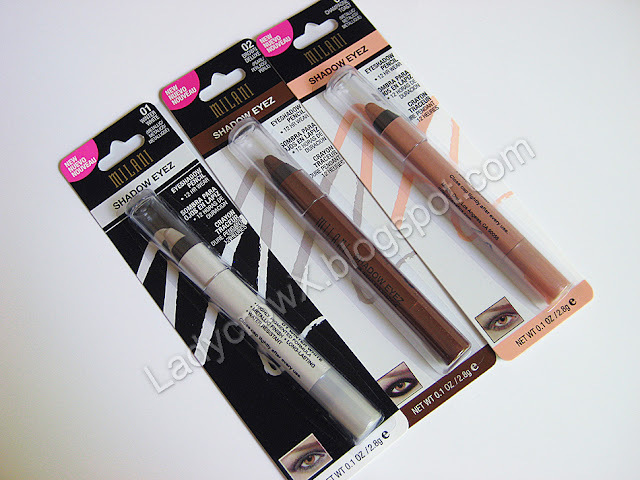 Can´t wait to see the review and swatches of these. Can't wait for the review! 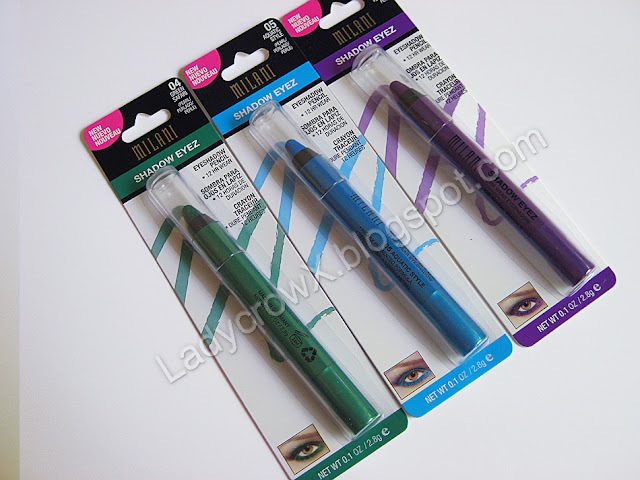 I really like the urban decay shadow sticks and am curious as to how the milani ones compare!